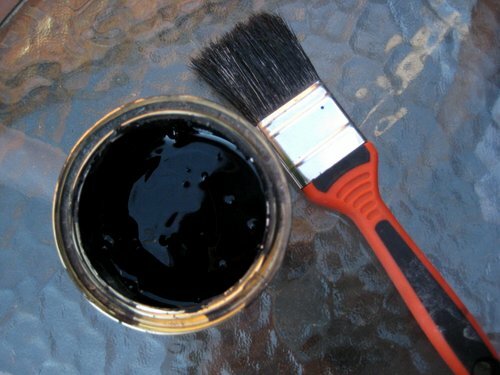 Yesterday I was out in the garden, paint brush in hand, at 8.30 in the morning. Seizing the cool part of the day I refreshed our garden chalk board with a new coat of paint. In our Victorian house we have what used to be an outhouse which we now use as a garden shed. It’s wooden door is perfect as our garden blackboard. The girls use it to draw, doodle and send messages to each other. 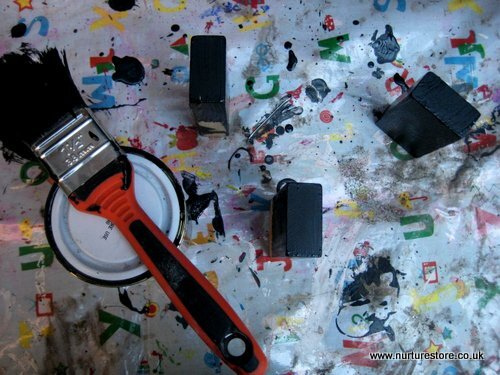 But with some extra paint left in the I wondered what we could find to use it up and we decided to re-vamp a few of our wooden blocks to make some garden chalkboard puppets. 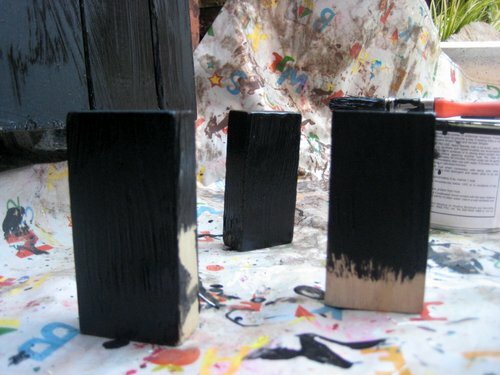 To do this properly you should probably sand down the wooden blocks first but we had an idea we wanted to play with so we just quickly painted over the blocks with the chalkboard paint. It was a gloriously sunny day so they dried very quickly, and we popped an extra coat of the paint on top. Then we had a blank canvass of blackboard ~ what could we make? 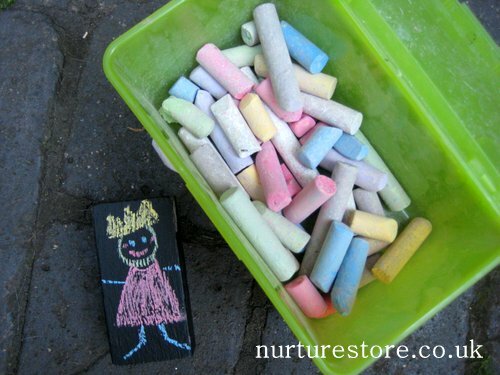 We keep a pot of chalks in an Ikea pot in the garden, with a handy flip-up lid that keeps the chalks dry and means the kids can easily use them whenever they want. 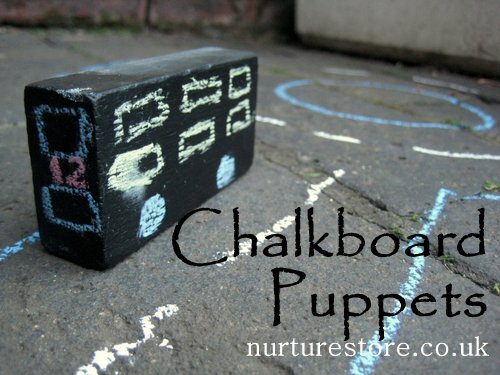 Kids + chalk + imagination and we soon had a set of chalk board puppets, including a fairy queen to come and live in our fairy garden. 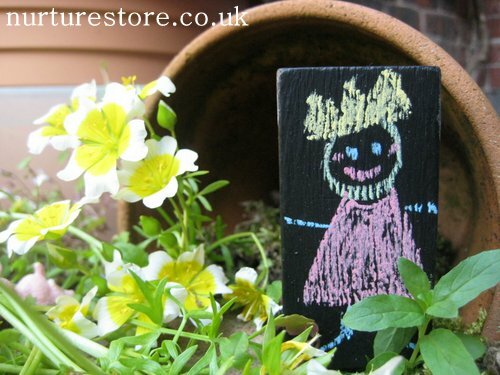 The wonderful thing about using blackboard paint of course is that once you have enjoyed playing with one set of puppets you can wipe off the chalk and draw yourself something else. People, animals, houses or even a double decker bus. 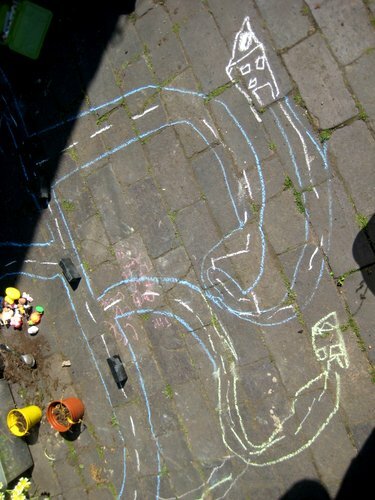 Chalks work just as well on a patio or driveway as on a blackboard and we soon had a town stretching over the garden with lots of extra play possibilities. 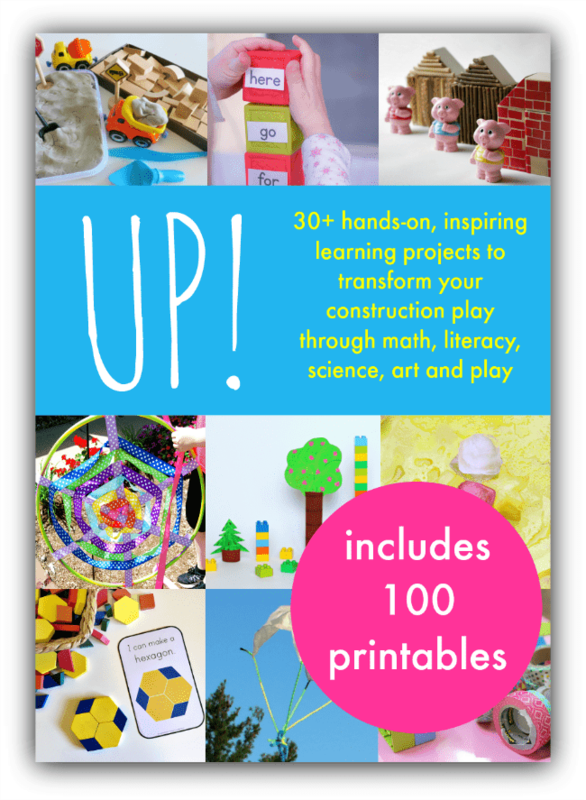 I love this idea – it would also be so fun to add to an indoor block center for play! What a great idea! 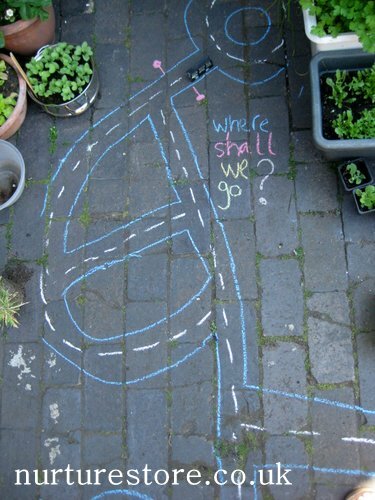 I may have to cover everything in chalkboard paint now! Looks so fun! GENIUS!! My latest venture is all things chalkboard!! I love this!! I love these Cathy. They are so unique and extremely flexible for children at play. Truly clever! Love it! I think we might have some left over chalk board paint. Aaah! I love these! 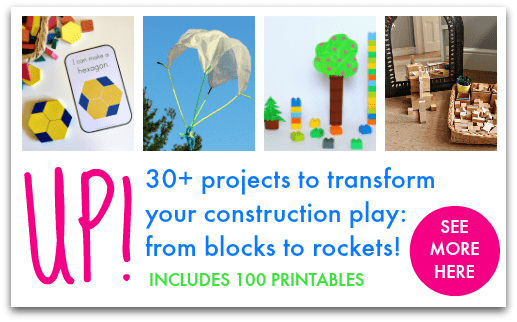 So many ways to use them!